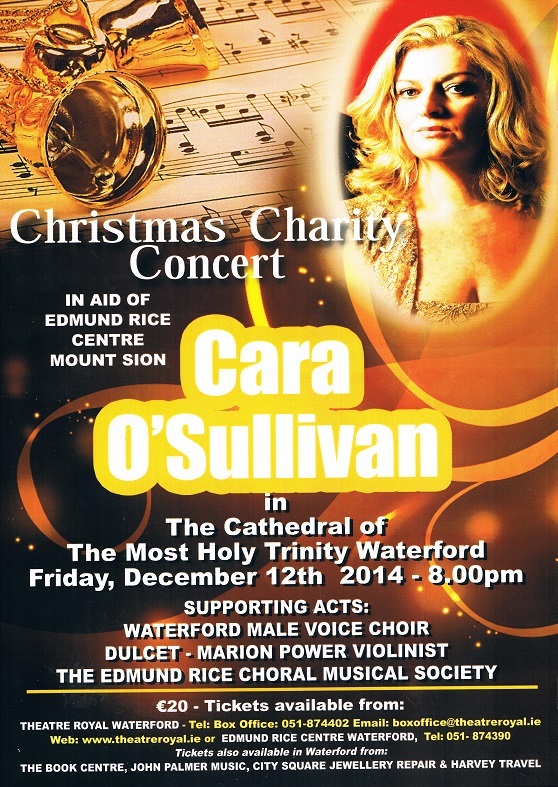 Gala Concert, featuring Cara O’ Sullivan, one of Ireland’s leading soprano performers, in aid of Edmund Rice Heritage Centre, Waterford. Tickets cost €20 each and are available from the Box Office – Theatre Royal 051- 874402, boxoffice@theatreroyal.ie OR Edmund Rice Centre, Waterford 051 – 874390. Tickets can be posted to you from the Edmund Rice Centre if you contact them.